Shopping around for a great copywriter can be a nerve-wracking experience. Who can you trust to tell your story authentically and compellingly? Who can you trust to even be able to write well? With websites like Upwork offering writers with a range of skill levels, it seems like you never know who you’re going to be connected with, and if they’ll even be worth your time. No, not the FBI kind, though you’re welcome to do that if you’ve got the time and are willing to pay for the results. What I mean, though, is check out their experience and education. What qualifies them to write copy well? 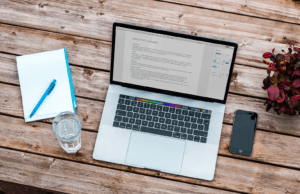 For hundreds of copywriters, setting up a website and reading a couple of introductory books is all they’ve done to establish themselves as experts in their field. Have they done any work that’s netted outstanding results? Have they learned from experienced mentors? Do they have actual experience doing the things you need them to? Here’s where it gets a little tricky: you could totally take a chance on a writer who’s never written a single piece of copy before, and it could turn out amazing. They could absolutely blow you away and their copy could convert at 5,000%. Or they could produce the same level of writing that your five year old son showed when he was learning his ABCs. The same could technically be said of an experienced copywriter – it’s entirely possible that they could produce work that makes you cringe. But with a solid background in marketing, years in the industry, and samples to show their previous work, chances are higher that you’ll get decent, if not spectacular, results when you hire them for your copywriting projects. Also consider that if your copywriter has worked with some of the greats in copywriting – Dan Kennedy (ahem, like me! ), Gary Halbert, or David Ogilvy – there’s little to no chance that prolific mentors such as these would allow their mentee to get away with sub-par writing or results. When you’re in the market for a copywriter, looking at the work that a copywriter is capable of will tell you what they’re able to do for you. Ask them for samples of a couple of different types of projects, from email campaigns to landing pages, to see how they have historically approached these different stylistic and content needs. Examine the samples for the flow of the content, grammar, and use of voice. Are they able to change their writing voice for different clients? This will tell you if they’re able to capture your voice and broadcast your unique branding, or if they’ll be stuck with the same writing voice they’ve used for every client before you, and probably every client after you as well. In almost every single case, the samples that a prospective copywriter will send you are their very best, so think about that. Will they be giving you their absolute best with every single project they work on for you? You hope so, but you also have to be prepared for a couple of pieces to be not quite their best. If their portfolio is already lackluster, and that’s their very best writing, this might not be the writer for you. Ask to see the metrics behind any portfolio pieces that a potential copywriter gives you. Take a look at how well the pieces performed, including the amount of time the piece was analyzed and how many qualified leads or sales it brought it. Hard numbers can tell you a lot about a piece of copy that even an in-depth interview can’t. I know you wanted the chance to be judgy, so I’m giving it to you freely. Judge their communication styles with you. Are they clear with their boundaries and what to expect in a working relationship? Are they respectful, knowledgeable, efficient with words? Do they use slang gratuitously, or just as egregious, stick to five dollar words and jargon? When you schedule meetings, do they show up on time? Do they communicate with you early and often? You might think that I would advise you to stick with the facts of a copywriter’s expertise, but honestly, the exact opposite is true. 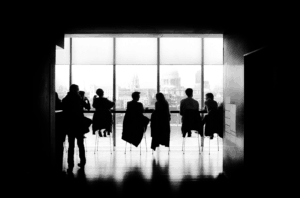 When you work with someone, especially on so important a project as your business, you absolutely have to ensure that you get along with that person well; that they understand you easily, and that you understand them. If the “vibe” is off, know that there are always other options. And the truth is that not every copywriter is a fit for every client. Choosing not to work with someone based off of a gut feeling isn’t silly or being “too emotional,” it’s a brilliant business decision. 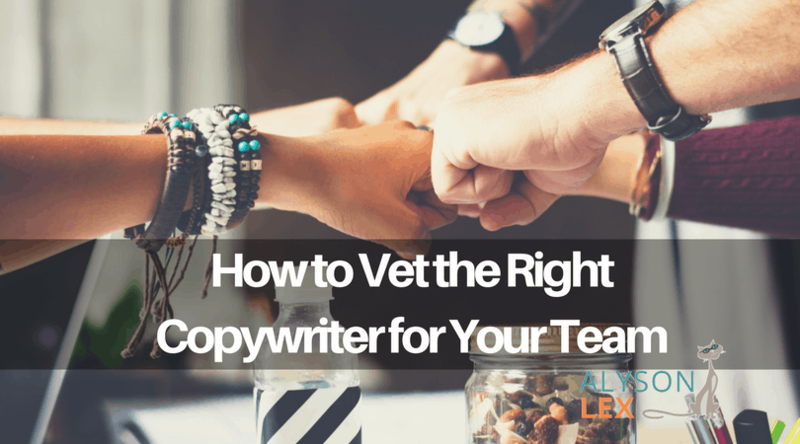 You deserve to feel comfortable with the people you collaborate with, and the same goes for the copywriter, who deserves to feel comfortable working with you. The ability to be yourself and communicate freely will make your working relationship better, their copywriting better, and the end project immensely better. Choosing a copywriter to work on projects for your business can be difficult. There are so many factors to consider, like the copywriter’s background in writing, their portfolio pieces, and their communication styles, as well as how well they “click” with you. If you take the time to vet your copywriter before signing any contracts, though, your project will run much more smoothly and your results will be much more positive than if you were to make a quick, uninformed hiring decision.